Is The Digital Age Fueling Toxic Reassurance Seeking? We all need a little reassurance sometimes. Someone to tell us we’re on track, doing great, or just confirm that we don’t have food in our teeth! But could this normal behavior be becoming more problematic in the digital age? Has Internet, smartphone, and social media addiction become the modern equivalent to a long understood feature of mental health problems? Feeling like an important part of your social and emotional relationships is an essential component of our mental health and well-being! Abraham Maslow considered this type of social connectedness to be a basic human need, secondary only to food, water, shelter and physical safety. Technology may actually support this need, and has in fact been found to sometimes strengthen friendship, facilitates interpersonal conversations and communication, and help us build new social relations. But could our basic human need for connectedness, combined with our new hyper connected world be creating a paradox? Could too much ‘social connectedness’ via the internet actually set us up for less of the true feelings of connectedness we need? When does social connectedness morph into more problematic ‘reassurance seeking’? “Reassurance seeking” (RS) is defined as any explicit, implicit, verbal, or nonverbal behavior where one seeks, assurance from another individual, even if it has already been provided. We all do this sometimes. “Do I really look okay?” “Are you sure?” we ask when we’re anxious and/or feeling uncertain. But too much RS is actually a diagnostic criteria for several mental health disorders; including Generalized Anxiety Disorder (GAD), Social Anxiety Disorder (SAD), Somatic Symptom Disorder, and Illness Anxiety Disorder. It’s also known to be a feature of Dependent Personality Disorder and Body Dysmorphic Disorder. Not to mention commonly occurring in depression (Burns et al. 2006) Hypochondriasis (Abramowitz and Moore 2007), and very common in Obsessive–Compulsive Disorder (OCD). So how do we know when normal attempts to surmise that we’re on track have started to blur the lines into dangerous territory? How do we know when RS has become an emotional habit pattern? 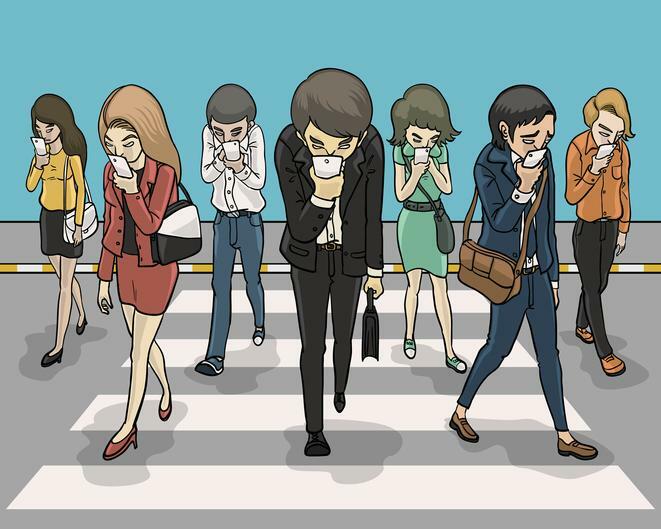 Feeding the Beast with Social and Digital Addiction? Of course, in our hyper connected digital age we have way more options for reaching out, to our friends, our parents, or even crowd sourcing reassurance of our ideas or our general okay-ness. But more access may be feeding the beast of RS as a toxic emotional habit pattern! Our habit patterns are the things we do, and ways we think, which reduce discomfort or increase pleasure, and are repeated over time. But when they divert us away from the things that are important in our lives, they pivot from being helpful short-term, to problematic long term. They become like mini addiction; emotional habit patterns. In fact, reassurance seeking (RS) has been proposed as a pathway to mobile phone addiction (Billieux et al. 2015). And a recent study found that technology (social media, smart phone, digital gaming, and Internet) addictions in high school students significantly predicted lower feelings of social connectedness! Low self-esteem, social anxiety, generalized anxiety, and emotional instability are all believed to be risk factors for turning to texts and social media ‘likes’ as a means of reducing distress via RS (Elhai et al. 2017 ). You know that time you posted because you were bored or lonely, and then obsessively checked to see how many likes you were getting? Or texted a bunch of friends to get their opinion on something? That’s how our smartphones can get us hooked on the drug of RS! Since RS is by definition an attempt to reduce uncertainty distress or increase certainty or good feelings, it’s extremely easy to for this autopilot mode to take hold, and divert you away from the things your really want. Numerous studies have shown excessive RS affects the quality of social relationships. So, when you’re wondering if asking for reassurance is a healthy way of connecting versus an unhelpful emotional habit, stop to ask yourself, ”What’s the function?” Is the outreach you’re considering feeding an immediate gratification need to reduce discomfort or get some good feelings? Or is the advice you seek truly taking you towards your values and the adult you want to be? The Practice. Sitting With Discomfort. RS can relate to both safety and personal worth; Sometimes the function of RS is to lessen discomfort, sometimes to give us a little boost. The key to being skillful is mindfully choosing when you reach out, rather that doing so reflexively and automatically. Like reaching for another cigarette, or the next potato chip, we often just keep going; until there’s no more left. We’ve drained our relationships, and/or there is just never enough reassurance to feed the beast. Let’s Practice. To begin keeping your reassurance seeking habit in check, practice delaying gratification for short periods of time, and then gradually increase the length of delay time. Step I: Identify the emotions or thoughts the reassurance may function to reduce or the pleasant outcome you are hoping to get from reassurance seeking. Step II: Validate the discomfort. Practice a little self-compassion for the normal human need for social connectedness. Step III: Ask yourself if reaching out is consistent with the adult you want to be? Does the action serve you long term? Then decide if reaching out is the effective thing to do towards your goals and maintaining your relationships. With practice, you will come to see, from your own experience, that you can handle it. You can sit with the discomfort of uncertainty, and minimize the shrapnel effects on your mental health and relationships, by more mindfully choosing when to seek reassurance. 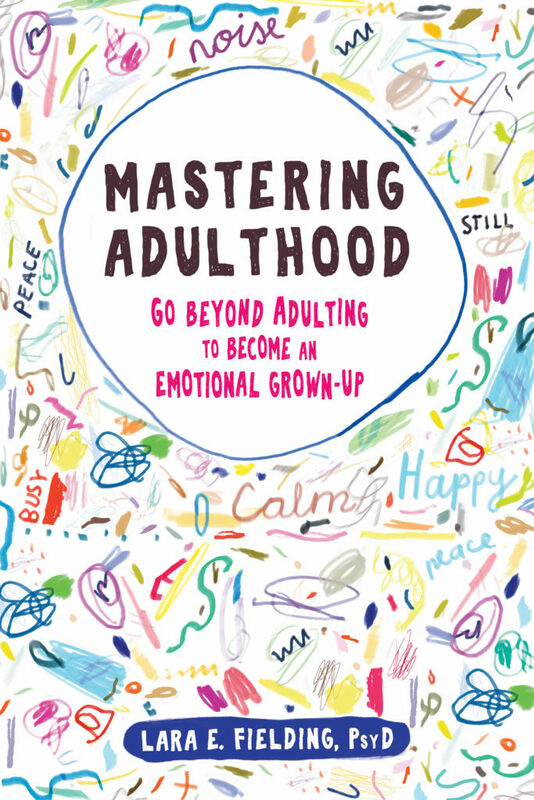 This blog was inspired by Dr. Fielding’s upcoming book: “Mastering Adulthood: Go Beyond Adulting to Become an Emotional Grownup.” To learn more helpful skills for Mastering Adulthood, sign up for the Mindful-Mastery SKILL WEEKLY newsletter, or follow me on Facebook, Twitter, or Instagram. Or YouTube for skills videos!